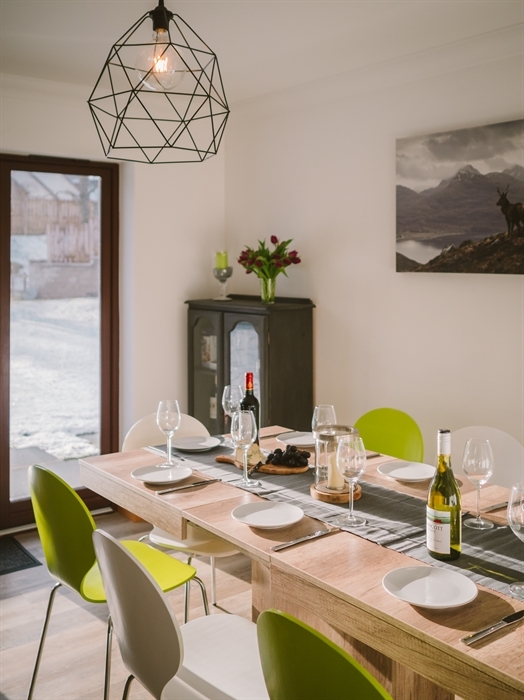 A contemporary, smart and spacious lodge in Aviemore, Trails End Lodge is perfect for outdoor enthusiasts and active families. 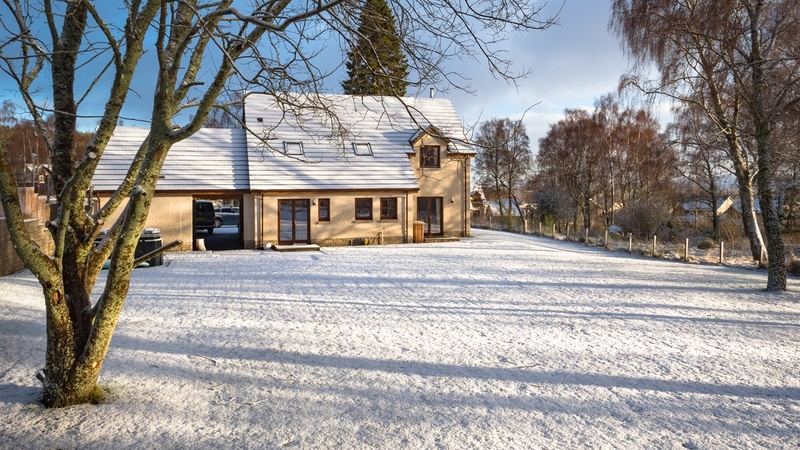 Trails End Lodge is located in High Burnside, a prestigious development of large family homes at the edge of an ancient Caledonian Pine forest, and which enjoys wonderful views across to the Cairngorms. 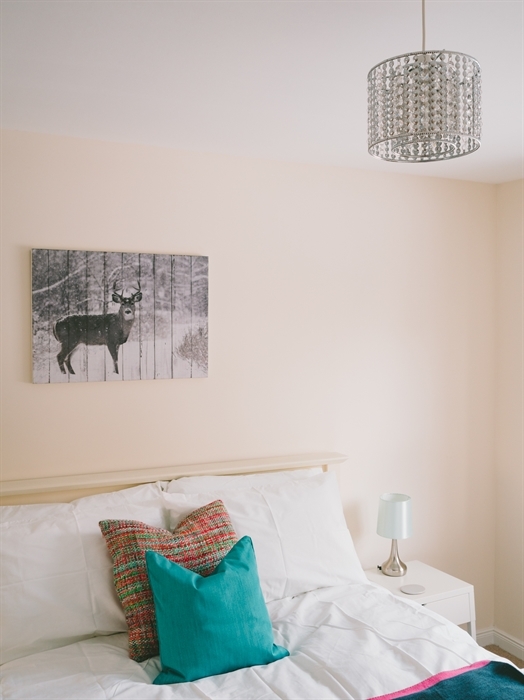 It really is the perfect location for an Aviemore stay, with the village centre only a 15 minute walk away, but with almost immediate access to vast Kinveachy Forest. The forest contains an endless variety of natural mountain bike and running trails – from which this lodge takes its name. The gate into the forest is only a couple of minutes walk from the front door. 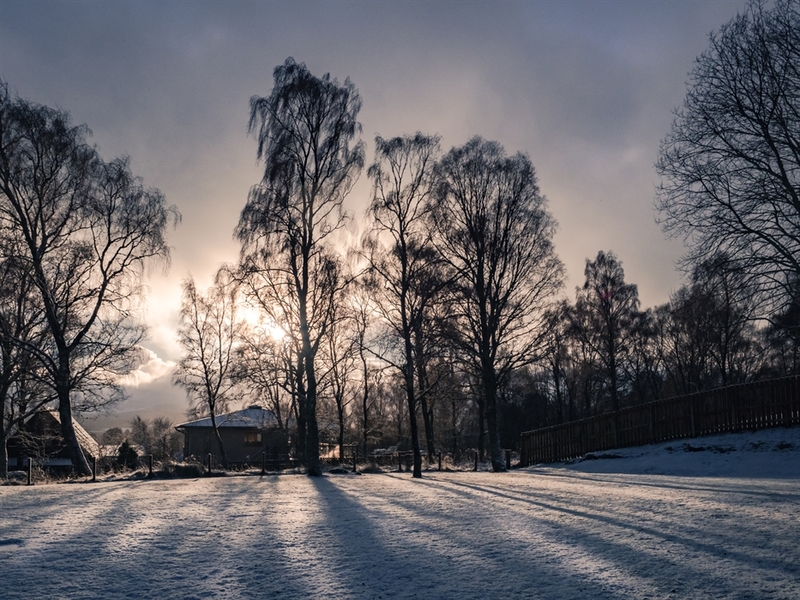 Turning south from the gate into the forest, you can head cross country for Craigellachie Nature Reserve and spot its Peregrine Falcons circling overhead. Heading north through the woods you can cycle to Carrbridge or Boat of Garten. Or if you are confident and experienced enough, perhaps you could try your luck on one of the infamous downhill mountain bike trails through the trees – such as “Trail to Nowhere” – rated as double black diamond - though be warned, these are not for the faint-hearted, or the beginner! The forest is also home to a wide variety of native Highland wildlife, including roe deer, red squirrels and capercaillie. 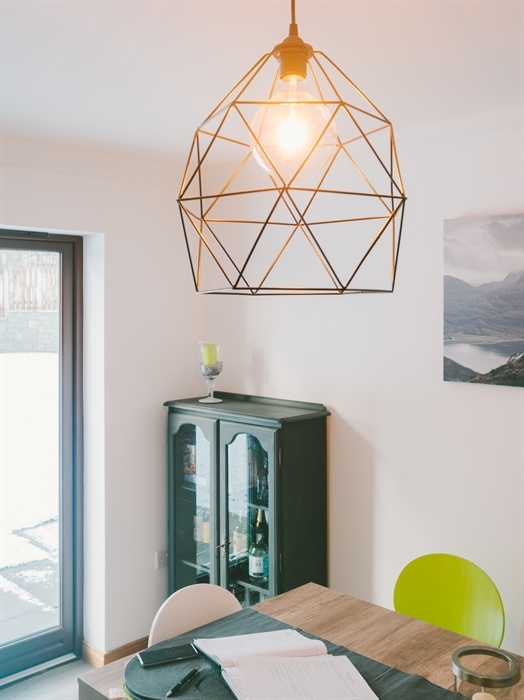 This lodge itself is the ideal blend of stylish and contemporary design with practical features and layout. The huge family kitchen has both a breakfast bar and a table which easily seats 8, with comfortable booth-seats in the dining area. 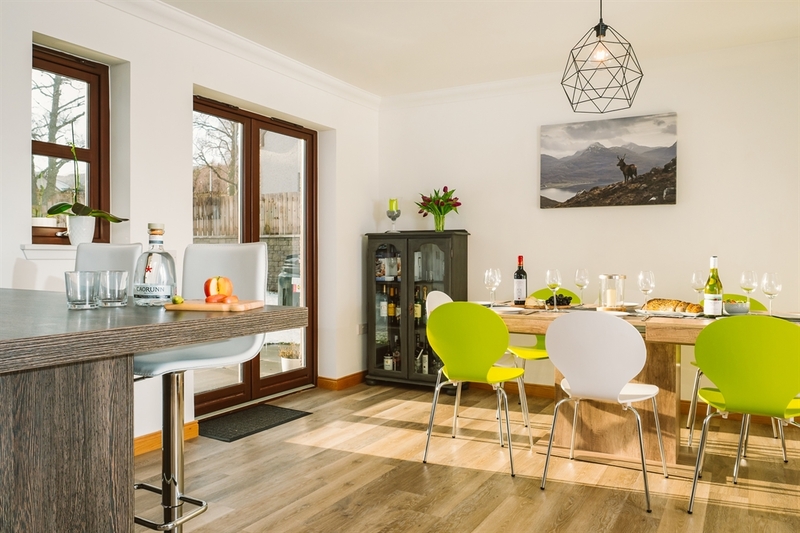 From the kitchen, patio doors lead out to the large lawned garden, perfect for family sports and games. 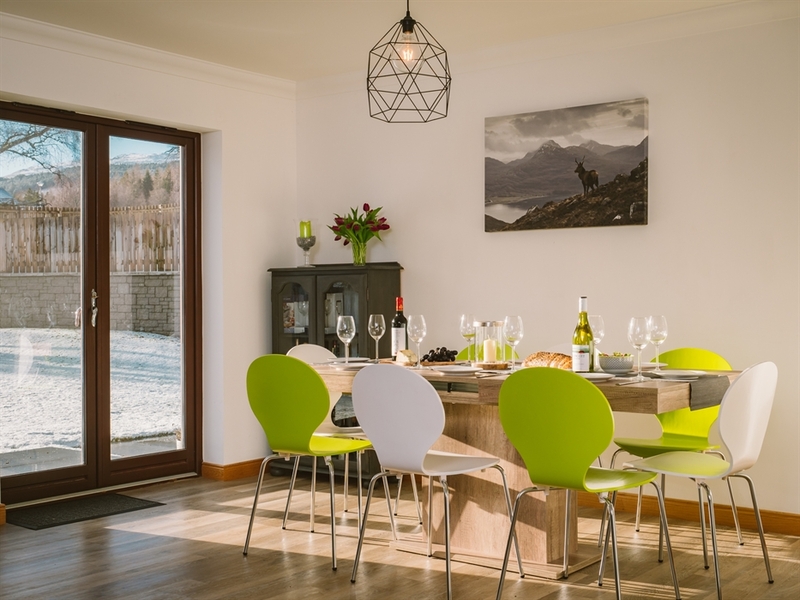 In fact High Burnside is perfect for a family stay, with its own children’s play park and fenced sports area as well as safe and quiet residential roads, with the lodge itself located on a cul de sac. 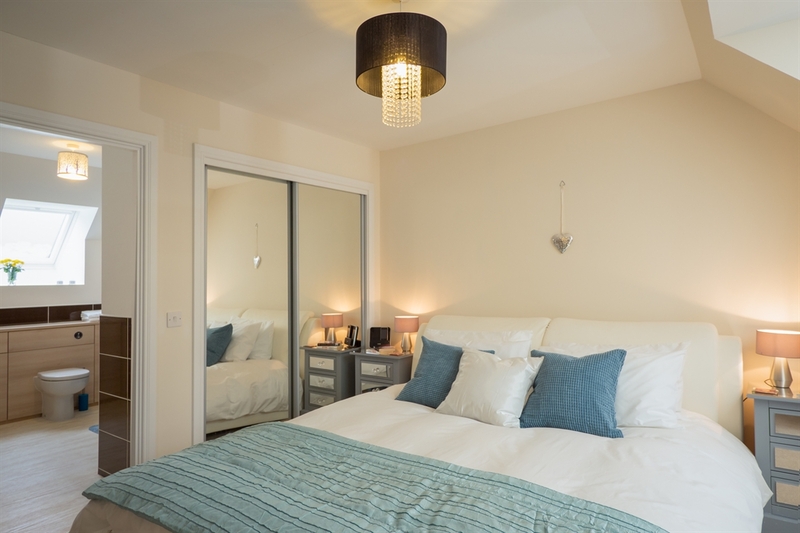 The master bedroom has a super-king bed and large en-suite with a double shower. 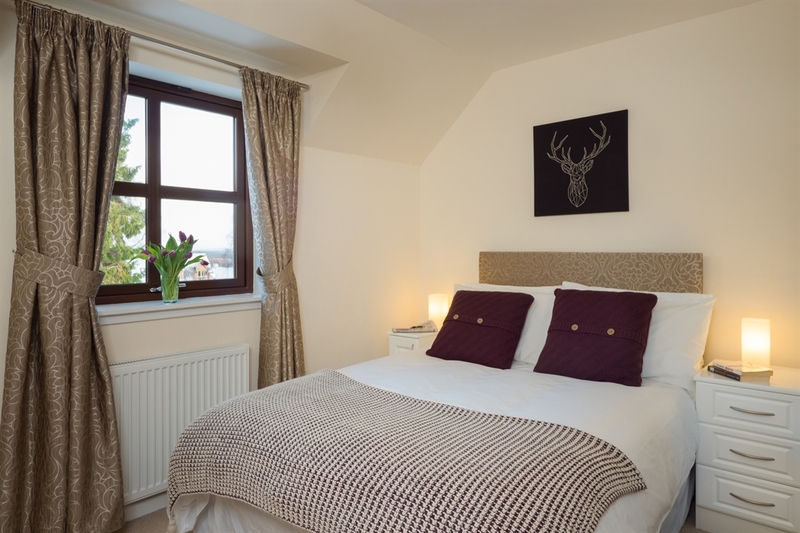 There is another bedroom with a double bed upstairs and also a king bedroom downstairs. 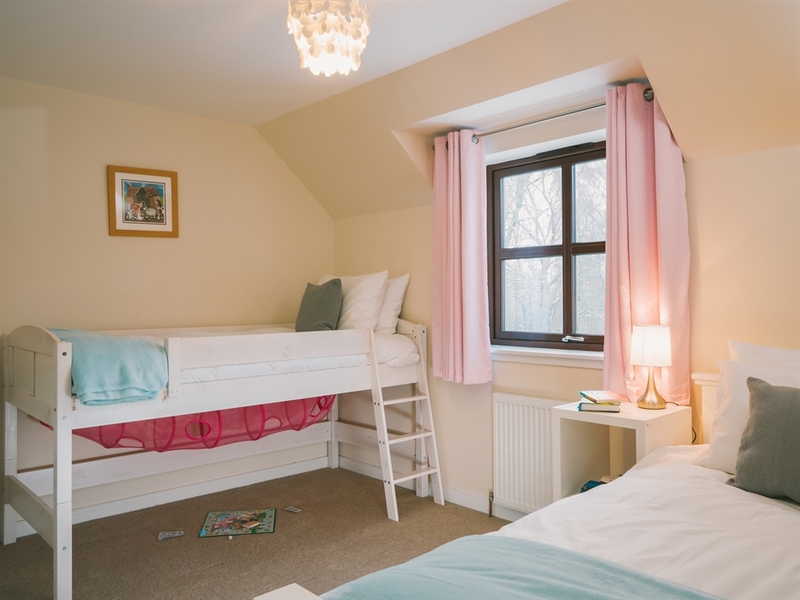 There is a lovely, bright triple room with single bed, mid sleeper and truckle bed. All bedrooms have a double built in wardrobe, and the master has two. The family bathroom is on the first floor and there is also a downstairs loo off the entrance hall. 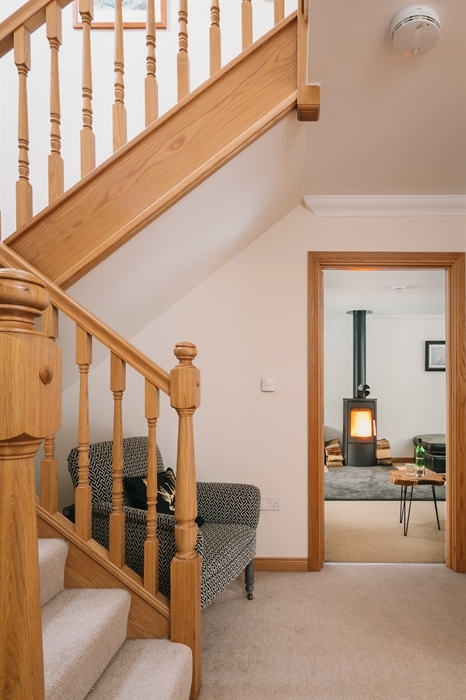 The lodge’s lounge is spacious with lots of natural light and a contemporary Morso wood burning stove, large TV with Sky HD box and DVD player. 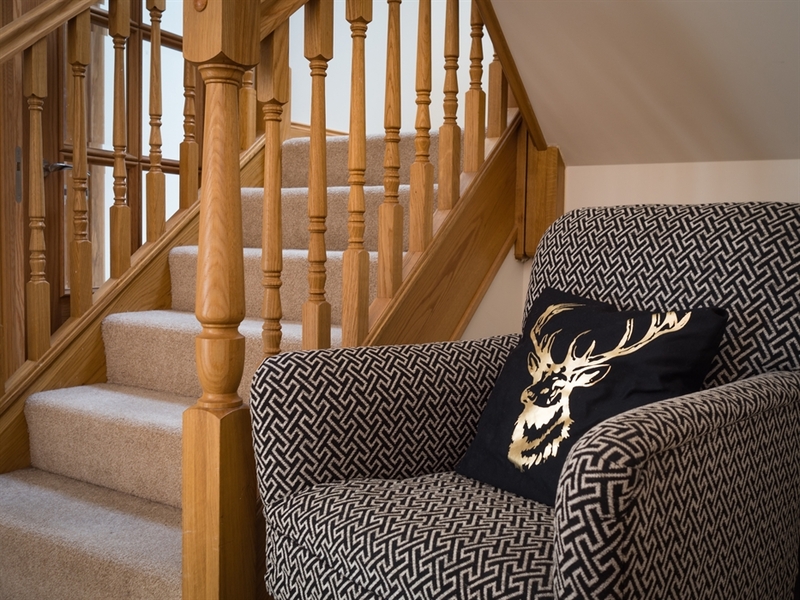 Trails End Lodge has plenty of storage for all your outdoor clothing and equipment, as well as a secure garage and carport which usefully incorporates the wood store. 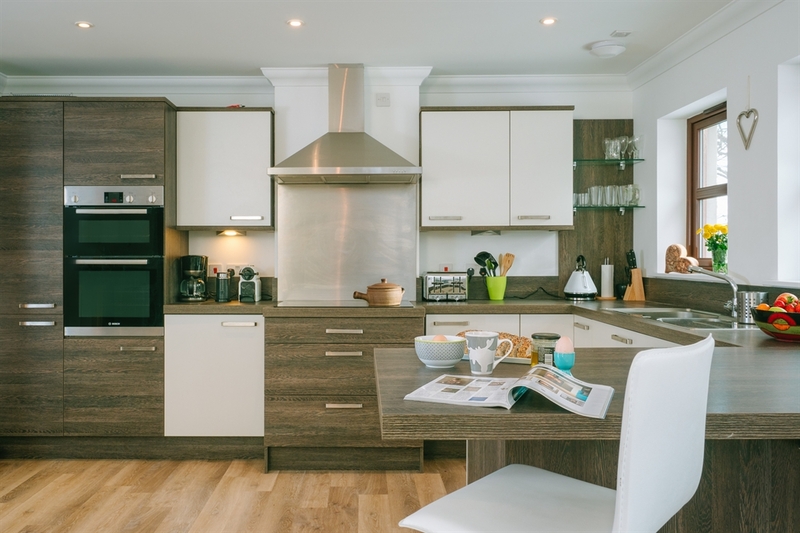 A washing machine and tumble dryer are located in the utility room leading from the kitchen to the back door. 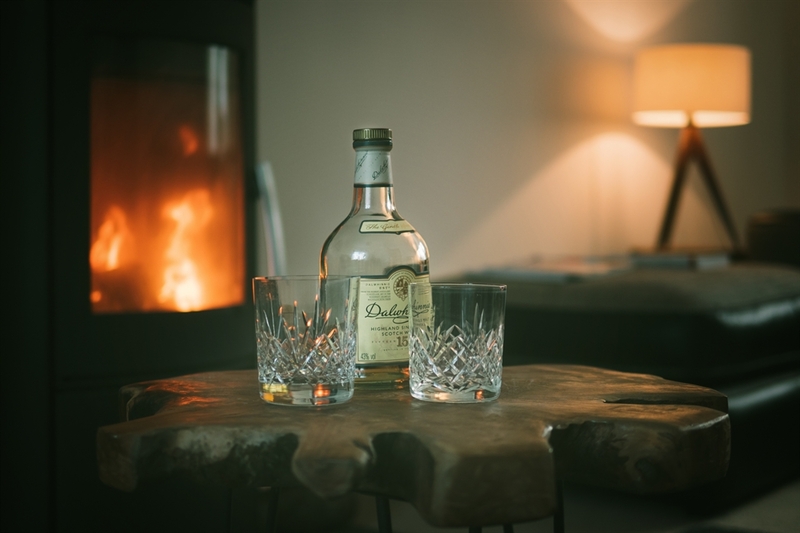 Trails End Lodge is all about luxurious but relaxed comfort – the ideal place to unwind after a day of Cairngorms adventures.